MySQL Cluster as a shared but high performance session storage offers great possibilities as a distributed and high available session storage. In this little text I will discuss a high available / high performance distributed session management cluster solution. Main focus is set on web sessions, PHP and MySQL Cluster. Nowadays web pages are very often required to deliver personalized dynamic content, handle shopping cards or just keep track of user statistics. All this cannot be served without managing web sessions linking feature data to a particular visitor's web browser. Usually this session data is stored in the web application' s memory or on disks. With more and more visitors adding load the solution is distributed to more servers. The solution becomes finally more complex using load balancers with sticky connections to compensate for the non distributed session information and replicating session data among web servers to achieve more availability. A central database for session persistence often adds another failure point to the architecture or rarely delivers the performance at a reasonable cost level. This text describes a low cost session management solution base on MySQL Cluster Database allowing a simple but high available architecture. MySQL Cluster serves as a central session storage running on multiple computers. Data within this Cluster is automatically distributed, load balanced and replicated to deliver the necessary performance and high availability. Cluster can be accessed using MySQL Server maintaining. The architecture has proven to easily accommodate the web session management of thousands of concurrent visitors using a low price standard of the shelf hardware. Any kind of "Know / Recognize your customer"
In a shopping cart application the cart needs to be filled and associated with a customer, a delivery address as well as payment information details. Shopping cart applications and any kind of personalized web pages require the identification of a web client and/or storage of additional (state) information. Main objective of web sessions is the maintainance of a web visitor's state for more than a single web request across multiple pages of a single site. Hypertext Transfer Protocol (HTTP) as protocol between the browser and the web server is stateless. The protocol requires no permanent connection between the browser as a client and the web server. A HTTP transaction is complete by the browser sending a request to the web server and the response as a reply. There is no persistence of a connection to the next request. In addition no requirements have been defined for any browser to identify itself for a single request. Because all web based services relies on HTTP for communication, maintaining state in a web application is an additional challenge. Cookies are an extension of HTTP that were introduced to help provide stateful HTTP transactions. Cookies can be used to identify a single browser for recurring HTTP transactions or to store state information. States can also be passed in the URL, but accidental disclosure of this information poses serious security risks. Using the above described methods session management is obviously a method to allow "virtual connections" to be established between browser and server. A session identifier is assigned to each user Identifier stored in a client side cookie if possible. Individual requests are matched in a session. Session data is usually for storing temporary data only. Session data in a usual web application is deleted after 30 minutes or even less. This can be noticed every time you enter a web shop, fill you shopping card, get distracted to do something else and ... shopping card content is gone. Please also note that URL rewriting is a solution and even a must when handling WAP sessions. PHPs session extension transparently takes care of server side session handling since PHP version 4. The respective script is quite simple. In order to make use of sessions you merly need to call the function session_start(). Session variables are stored in the $_SESSION array. Session contents are stored on script termination and restored on consecutive session_start() calls. Most aspects of PHP session handling are still configurable. PHP supports session ID propagation by both URL parameters and cookies. The default name of the ID parameter/cookie is PHPSESSID (settable using session_name()). The default session ID is a MD5 checksum based on date, time, the client IP and other request data (settable using session_id()). Transparent session ID rewriting can take care of adding the session ID to URLs in absence of cookies. Session data even if only temporary should survive a web server crash. In order to allow customers to continue shopping even in case of a hardware or any other failure a solution should be highly available. Session data might very often be used and is highly dynamic, performance is an issue. Today some 100 visitors a day, in the near future a couple thousands. Scaleability is the issue here. Several locations are suppported by PHP and other languages in order to handle session persistence. But shared mounts need extra system configuration. Most shared file systems like NFS have issues with locking. A file server becomes single point of failure. Whereas J2EE has HTTP session or SFSB objects (including fail- over for object references) and application servers like WebLogic support a transparent (database based) session persistence PHP users have access to a variety of solutions using the PHP session API. PHP sessions are persistent by design. PHP has a sessions module available. A "pluggable" database support exists (the default file persistence is build in) but manual programming required. The respective session management module will be simply loaded by the a function call to session_module_name ( ) at the beginning of your script. Using the PHP build-in session file based sessions a file will be created in the configured path. The file name contains the session ID. or in a more compact binary format. Customization of session storage is possible from within PHP extensions or PHP userland code. In the recommended and most common solution the data column will hold the session data in the same serialized format as it is used in the file based session storage. Please note that the ENGINE clause is only available in MySQL. Using other databases you have to omit this keyword. If you intend to use MySQL you should use a storage engine allowing row level locking (such as InnoDB or Cluster like discussed later on). The following code will implement the full session management API needed to run session management in a (My)SQL database. Solutions are discussed in this section: using distributed systems, load balancing and load sharing as well as data partioning. 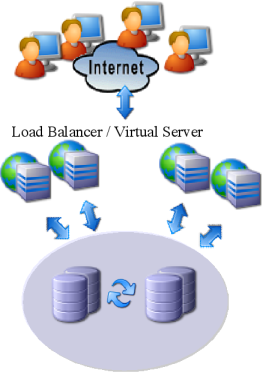 In a distributed environment all system load (user web requests generated by a page hit causing a session call) is distributed to multiple web server instances usually located on different computers. 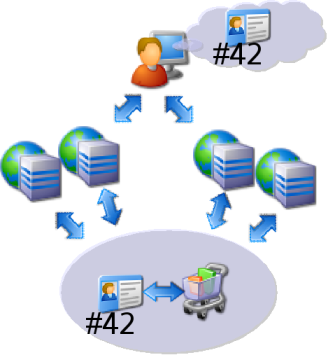 A distributed allows to increase the overall throughput of the web system and can perform a fail-over in case of a system failure. In order to distribute load to different web servers a central session storage or local session storages are needed. In case of a central storage each single user request can be routed to any server. The session data connected to the session id will be read from the central storage. But a shared storage will introduce a single point of failure. A usual way to "balance" distributed load is partitioning. Very often an algrithm is used on the session id to equaly distribute sessions to different servers. Each session will then be routed to a dedicated server with a local storage. Unfortunately this will require "sticky connections" since partitioning is made strickly by web users and a local web server storage is used. Session data can not be shared among different web servers. 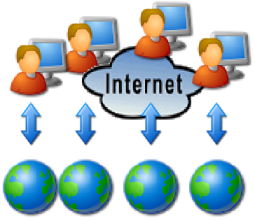 Each user is then routed to a dedicated web server. This will introduce new problems even if several server can share the load now. E.g. "bleeding techniques" are needed to move new users to a new server over a longer period of time just to shut down a single server for maintenance. Easiest minimum security against data loss is an external external storage (single point of failure). Even if it is a single point of failure the session data is at least still available if a system goes off-line.